It was a whirlwind during the Holiday Season this year- a true #holidayhustle! As always with love and admiration for this city, its residents, its local makers and its crafters, with a full heart I say THANK YOU FOR YOUR CONTINUED SUPPORT! The kind words and stories that you shared made me super happy and will help inspire me to continue making my up-cycled creations. Custom orders and requests are still available through-out the year. I’ll pick back up “making” in January 2019. Please feel free to email at anytime to discuss custom orders. Handmade Arcade, Pittsburgh’s first and largest independent craft fair, was founded in 2004 to provide grassroots, independent craft-based artists with opportunities to show and sell their wares; to create an alternative to traditional craft and fine art fairs in the region; and to connect the local indie craft community with the national DIY movement. One of the region's most anticipated annual arts events, Handmade Arcade will feature: 200-plus innovative craft-based artists, makes, producers and designers from Pittsburgh, the region and the U.S. in a curated and juried marketplace. Returning for its 14th year on Saturday, December 8, 2018, from 11 a.m. to 7 p.m., at the David L. Lawrence Convention Center. One of Pittsburgh’s most anticipated annual events, attracting more than 9,000 attendees, Handmade Arcade offers an authentic, engaging and personal shopping experience in featuring innovative, affordable and hand-crafted products made by some of the country’s top Indie Makers, who are all on-site at the event to talk with attendees about their creative process, unique product lines and background. Please join Simon's Granddaughter for her fourth year showing at this amazing show. Admission is Free and the Makers selling are cream of the crop ! Custom Orders placed by November 23rd can be picked up at this event. A limited number of tickets are available. Link to purchase is below. "Joy of Christmas" Craft Show. Simon's Granddaughter will be participating for the third year in one of Upper St. Clair's largest holiday shows. Upcycled stands, one of a kind text wall plates, and a few other small up cycled holiday finds will be available for purchase from SG. Come join in the celebration of local crafters ! Second Sundays in the Strip : Simon's Granddaughter will be joining the Neighborhood Flea for her fourth year in a row! Neighborhood Flea will pop up each Second Sunday of the month May - October, from 10am - 3pm. This will be the last flea of the season. The Neighborhood Flea is a vibrant, pop up urban Flea Market. If you’re in the know, you’ve already heard that we’ve moved! We’re a couple blocks away from our old location - find us at 26th and Smallman Streets. We have multiple areas down 26th Street for shopping, eating, and workshopping. Check out our map now and see the Neighborhood Flea “pop up” to life on Sunday. Discover treasures provided by top-quality vendors offering: vintage & antiques, clothing, repurposed furniture, handmade jewelry & cosmetics, fresh flowers, and reclaimed wooden wares in Pittsburgh's historic Strip District. Eat at the Flea! Each month features a food truck round-up, fresh baked goods, frozen treats & coffee! Plan to spend the day with us. Workshops, demos, and live art are just a few of the many activities to experience each month. For more information visit us on Facebook at facebook.com/neighborhoodflea. Second Sundays in the Strip : Simon's Granddaughter will be joining the Neighborhood Flea for her fourth year in a row! Neighborhood Flea will pop up each Second Sunday of the month May - October, from 10am - 3pm. SG will be selling May/July/October this year. The Neighborhood Flea is a vibrant, pop up urban Flea Market located at 3 Crossings / 26th and Smallman / Railroad Street in Pittsburgh's historic Strip District. Discover treasures provided by top-quality vendors offering: vintage & antiques, clothing, repurposed furniture, handmade jewelry & cosmetics, fresh flowers, and reclaimed wooden wares. Eat at the Flea! Each month features a food truck round-up, fresh baked goods, frozen treats & coffee! Plan to spend the day with us. Workshops, demos, and live art are just a few of the many activities to experience each month. The 2017 season is coming to an end and it was the best year to date! Thank you to all the Yinzers and supports of local crafters - I will not be selling at any shows until May 2018. However, I'm always available for custom orders ! Merry Christmas and thank you ! Come celebrate Threadbare Cider Houses' inaugural Wassail Market. 500-person heated, lighted tent that will be decked out with 14 Christmas Trees. Offerings include Wassail Mulled Cider, a cookie decorating table with Threadbare Pastry Chef, and a Wassail mask making session with live music throughout the day. We'll end the night with Cider Sabering, a Wassail song and lantern lighting. Over 100 tables of Holiday Crafts; Chinese Auction, & Food. Simon's Granddaughter will be participating for the fifth year in a row. Stop by and pick up a one of a kind upcycled creation for your holiday parties or to add a eclectic touch to your holiday decorations! New Holiday ornaments (smaller version of the text plates) will be available starting at this show. Huge Thank You to the Moon and back to all my friends, family, co-workers and to the new faces I got to meet this past year. I'll be back in May 2017; selling at the Neighborhood Flea. Crafts & Drafts is back! Simon's Granddaughter will be participating for the first time as East End will be celebrating the release of their Moonstomp Berliner Weisse (a collaboration with Pizza Boy Brewing Co.) and the coming summer months with a Fresh Market! - Food from La Palapa, Mexican Gourmet Kitchen, Leona's Ice Cream Sandwiches, and more! - The Commonplace Coffee Co.
- And Grow Pittsburgh will be here too! Best of all, this event is free! Bring the family, come hungry and ready for some GOOD BEER. Huge Thank You to the Moon and back to all my friends and to the new faces I got to meet this past year. I'll be back in May 2016; selling at the Neighborhood Flea. 14th Annual Holiday Craft Show :: Simon's Granddaughter will be selling for the second year in a row. 130 crafters will be in attendance so come enjoy a day of crafts, lunch and baked goods along with Holiday music, a gift auction, 50/50 raffle and more! Simon's Granddaughter will be participating for the third year in a row. Stop by and pick up a one of a kind upcycled creation for your holiday parties or to add a eclectic touch to your holiday decorations! Sisters of the Divine Providence will be hosting local and tri-state crafters in their historic landmark building. Simon's Granddaughter will be partaking with unique upcycled vintage creations. Stop by and pick up something to give your fall decor an extra special vintage touch. 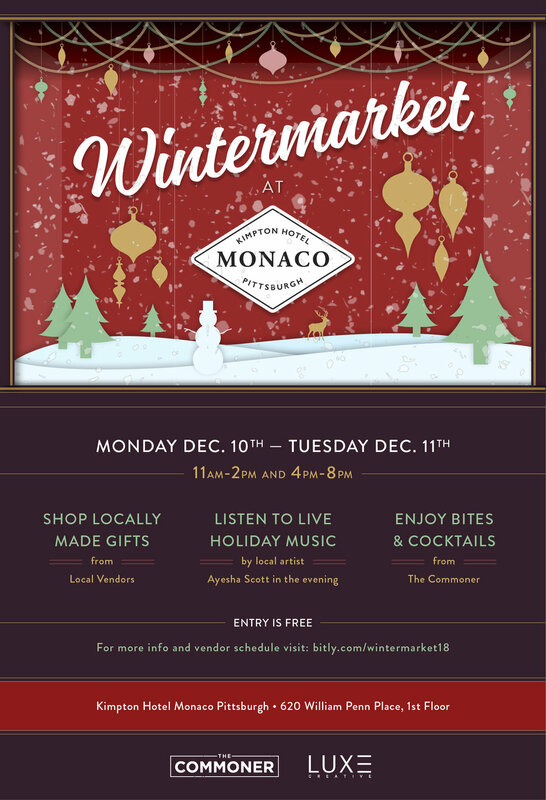 Stop down for a great day of Holiday shopping and perusing of unique, eclectic finds, and handcrafted wears from local Indie Crafters. Simon's Granddaughter will have a booth set up not only selling her one of kind stands and upcycled goods, but will also be selling vintage flea finds from her travels around the US. 13th Annual Holiday Craft Show is Sunday, November 16 from 10:00 a.m. – 3:00 p.m. 130 crafters will be in attendance, so come enjoy a day of crafts, lunch and baked goods along with Holiday music, a gift auction, 50/50 raffle and more! Simon's Granddaughter will be selling her one of a kind pieces at this years Trax Farm "All from Scratch Spring Show"